Over the years there has been a lot of talk on what to do with Irish Telephone boxes and many of them have been destroyed. Today the Irish Telephone Box has got a whole novel use- it has become a lifesaver. Irish Telephone Box, well known traditional product, hasn’t had its original function for years. However, Irish Telephone Boxes are used in pubs, souvenir shops, hotels and offices as quite zones for taking phone calls. Now, Irish Telephone Box has gained a new, noble function: saving lives. After Tom Geaney’s life was saved by a defibrillator when he collapsed on a football pitch, it was clear that a need for defibrillators is unfortunately an increasing trend. Tom Geaney is a young student whose life was recently saved by a defibrillator that was accessible in a football club. This was just one of the examples of how much the defibrillator accessibility means in the urgent situations as this particular one. Shortly after, a new initiative “The Heart of Killarney” was introduced in Ireland. The Heart of Killarney sees the life-saving equipment stocked in phone boxes across the town of Killarney in Kerry. This initiative aims to significantly improve the chances of survival for someone who has an “out of hospital” cardiac arrest. 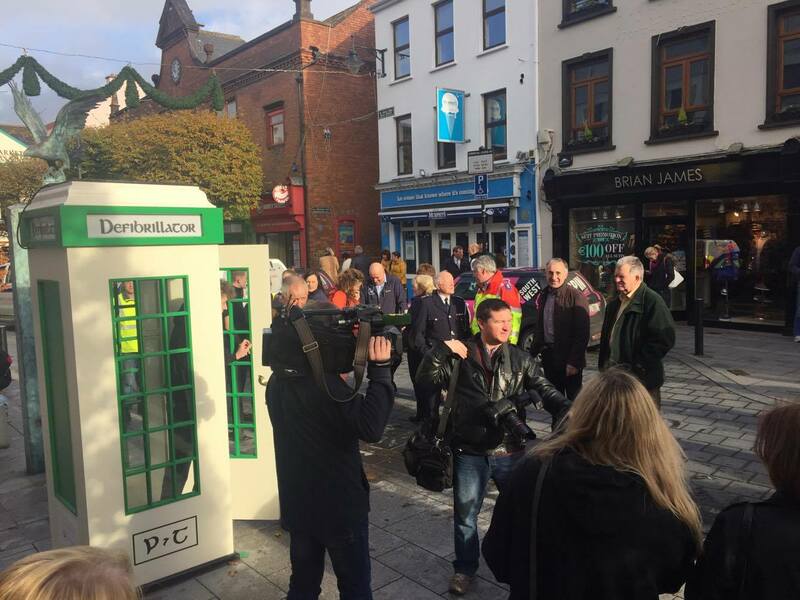 Irish Telephone Box is the first lifesaving unit ever installed in Ireland. The defibrillator is placed inside a phone box. Defibrillator is installed along with the instructions on how to use it, which users can find on defibrillator itself. There are currently 13 access places in Killarney and this week the first box was installed. Irish Telephone Box installed with a defibrillator is created by Burke Joinery, who specialise in providing architectural joinery and acoustic products. One of their most popular products is the Irish Telephone Box, now being fitted with medical equipment. For all the details on this initiative check the UTV News on 10th November at 5.30 p.m or read Irish Independent.